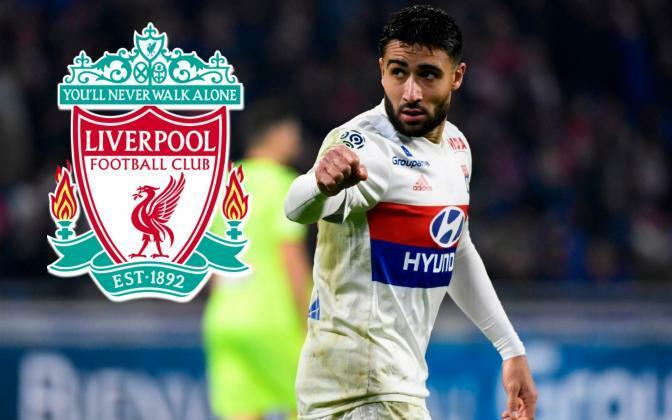 Lyon president Jean-Michel Aulas is mentally-prepared for Liverpool to revive negotiations over a deal for Nabil Fekir this summer. The Reds withdrew from talks in the 11th hour at the beginning of June having agreed a £53million fee and personal terms for the Frenchman. Fekir himself even conducted LFCTV interviews ahead of his unexpected unveiling, only for concerns raised in his medical to scupper his Anfield switch. Despite his reputation as a tough negotiator, Aulas has since been open to the possibility of Liverpool resurecting the transfer for the playmaker after he returns from the World Cup with finalists France. Aulas has again admitted that Fekir could still join the Reds, but believes he would also be happy to stay put at Lyon. He said: “It seems to me that Liverpool could come back to the charge … That’s what I saw in the press, but I’m not informed,” per le10sport.com. Liverpool’s step back from the deal evidently stemmed from an underlying knee issue relating to his anterior cruciate ligament injury in 2015. It may be that the club strives to restructure the financial aspects of the initially agreed deal in light of fears over his longevity. Whilst the late withdrawal proved a shock twist at the time, it has since materialised as a potentially wise reconsideration given the physically-demanding nature of Jurgen Klopp’s style of football in a far more intense division than Ligue 1. Having rarely featured for France in Russia, Fekir’s original price-tag is unlikely to be altered if Liverpool do opt to reignite their pursuit. The coming weeks could be telling in regards to where his future lies.